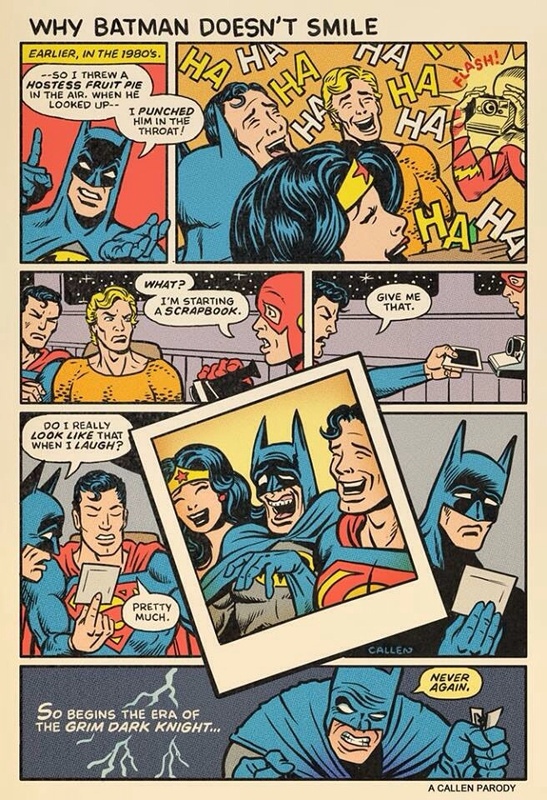 In this Hostess Fruit Pie ad, we learn why Batman never smiles! It has absolutely nothing to do with death surrounding him. It's because he looks like an idiot! Also what was it with Hostess Fruit Pies back in the 80's?! Every dollar comic I read nowadays has an ad plugging those gross things like they were the sweet nectar of life.